What If We Can’t Think of a First Dance? 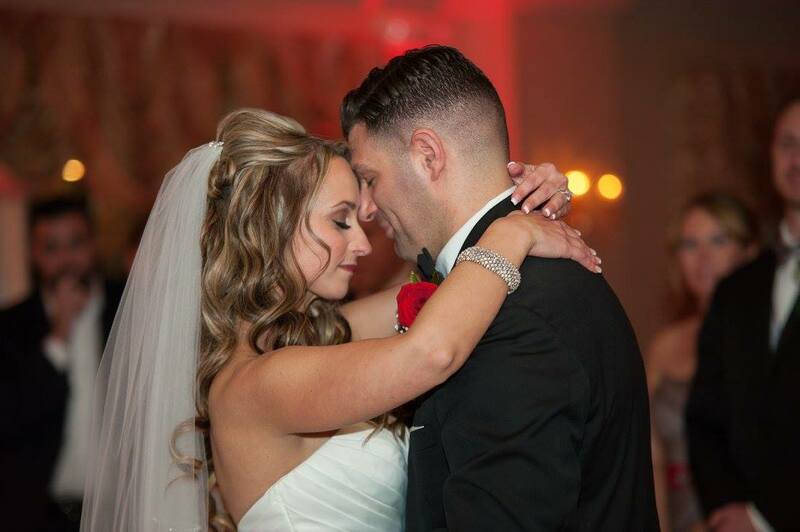 Your Wedding Song, your First Dance together as a married couple, is a pretty big deal. It’s a song that will stay with you the rest of your life. When you are guests at future weddings you’ll be thrilled if you hear it (and one of you may even approach that future DJ and ask him to play it.) You may break it out on your anniversary and move the coffee table aside so you can slow dance in the living room to it (ok, maybe that’s just me). It’s a very special song. Which is why some couples agonize over the selection. They listen to every single lyric and toss out songs that don’t describe their relationship to a “T.” Or they go with the newest, hottest song with the assumption that if so many other couples are picking it the song has to be perfect. When you first started dating did you have “a song?” If you did, even if that song doesn’t describe who you are as a couple perfectly, for sentimentality alone, you should consider it. Maybe it was the first song you slow danced to or the song that was playing when you first kissed. If it means something to you, the song should be in the running. Are you considering a song but hesitating because of one lyric? We can help you with that. In certain situations we can edit a song to eliminate a line that isn’t perfect or simply MC over that line. The best example I can think of is Rod Stewert’s song “You’re In My Heart.” I worked with a couple a few years ago who wanted that song for their first dance but obviously had a problem with the line: “there have been many affairs and many times I thought to leave.” But I was able to edit the song seamlessly and eliminate that one line and they loved it. Do you share a favorite artist? If you and your fiancé met at a Dave Matthews concert or have gone to see Bruce Springsteen so many times you’ve lost count, you should consider a song from your favorite artist’s oeuvre. There’s a reason you both love this band right? Their music speaks to you on a different level than any other artist right? So it makes sense to start your search there. Do you share a favorite genre? Maybe you don’t agree on a favorite artist but you both love the same type of music. Picking something from that genre is a great way to ensure you’ll love the song. So if each of you listen to classic rock or soulful R&B or country music, think of the best love songs from that genre and see if one of them works. What’s hot right now? 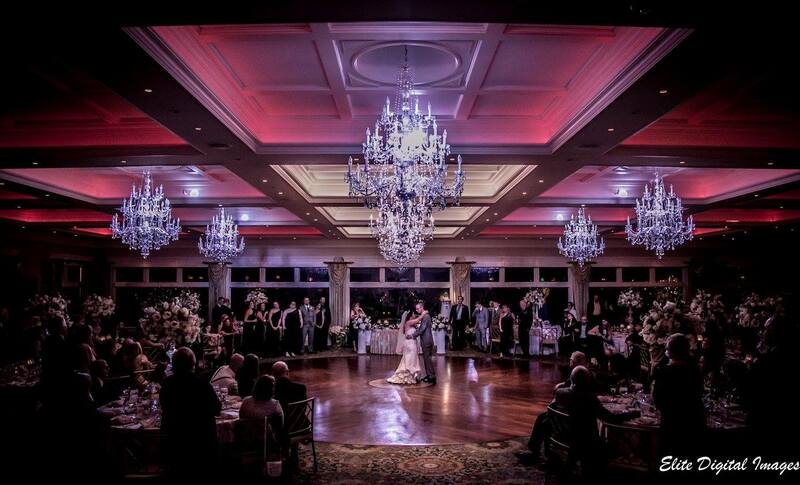 There is a good reason why so many couples in 2013 and 2014 selected “All of Me” by John Legend as their first dance. 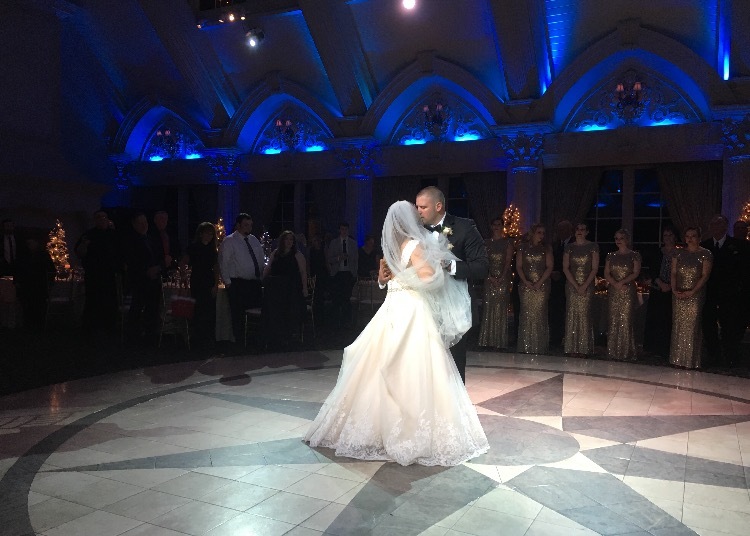 The song is beautiful and the lyrics are perfect as a first dance. So if you are completely stuck and can’t decide on a song, choosing the “Wedding Song Du Jour” isn’t a bad way to go. Do we want to be different? Youtube is a filled these days with videos of couples doing unique and cool things at their weddings — and many of these involve the first dance. If you have a desire to be different (and perhaps go viral) we can help you make a medley of songs and we’ll get it to you in advance so you can practice and become a true internet sensation. 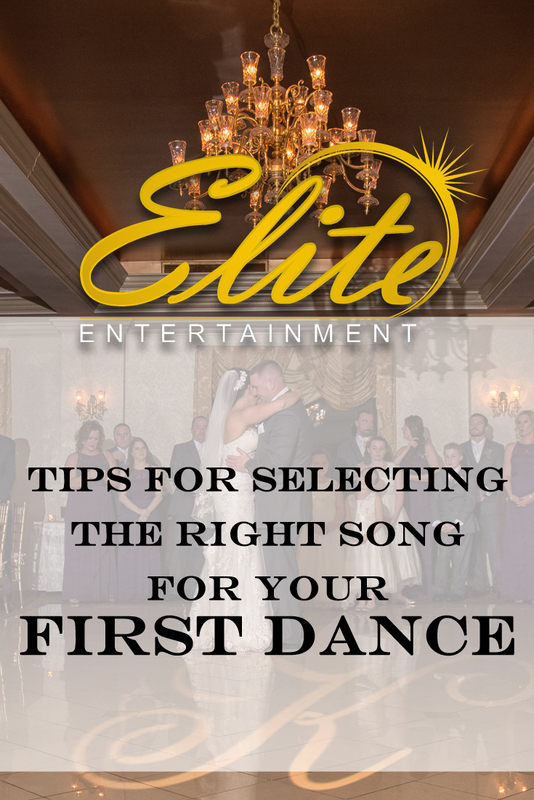 If you’re still stuck after pondering all of the above, we at Elite can help by playing you some selections and seeing if any strike a chord. Music, like any art, is subjective and no one can tell anyone else what a great song is or is not (which is the only way to explain Michael Bolton’s career). But we can certainly offer some suggestions and help you find that one song that will define who you are as a couple and be your “Wedding Song” forever.